Sometimes, you need a place or places you can visit in less than a week and come away feeling you've seen something unique. The American South affords budget travelers multiple opportunities to do this. Some of the destinations listed here could be strung together into a longer trip, but there is also the chance to take a long weekend and a wonderful southern vacation without spending a lot of money. When land parcels were assembled to create Great Smoky Mountain National Park, the owners made a deal with the government: We sell you the land, you agree to let people visit without charge. The result is one of America's most beautiful and most visited parks. Although entry fees don't exist, there are plenty of amusement parks, souvenir shops and overpriced restaurants in the area. Camping options here are good. In peak periods, consider using the Foothills Parkway to enter the park from the east rather than the usual northern entry at Gatlinburg. There are hiking possibilities here for every level of experience. There are spectacular views that make the walks worthwhile. In short, many of the best things here cost nothing. You probably know New Orleans is an interesting travel destination. But did you know there's also an interesting way to get there? The Natchez Trace Parkway runs 444 miles from Nashville, Tenn. to Natchez, Miss. From Natchez, it's a relatively easy drive to New Orleans. Make no mistake: the Interstate highways connecting Nashville and New Orleans will get you between the cities much faster than Natchez Trace Parkway. The interstates also offer a lot more in the way of chain restaurants, chain hotels and chains of heavy traffic. Natchez Trace Parkway provides a series of history lessons to those patient enough to navigate its quiet, narrow bends. Pack picnic lunches or plan to exit the parkway and visit nearby cities for food and lodging. There is a lot to do in Greater Miami-Fort Lauderdale, and some of it is quite expensive. But relatively inexpensive is the discovery of Florida's Everglades, the largest subtropical wilderness in the United States. You can explore not only the Everglades but also the upper Florida Keys on day trips. John Pennekamp State Park near Key Largo offers some of the best diving opportunities in the world. Although the Keys can be quite expensive, you can enjoy what they have to offer without paying top dollar at the hotels and resorts. Camping opportunities abound, and you can also do a search of the Homestead area south of Miami to set up a budget base. You'll need a car and a good map, but this beautiful part of south Florida is rewarding. Some call Atlanta the South's unofficial capital. 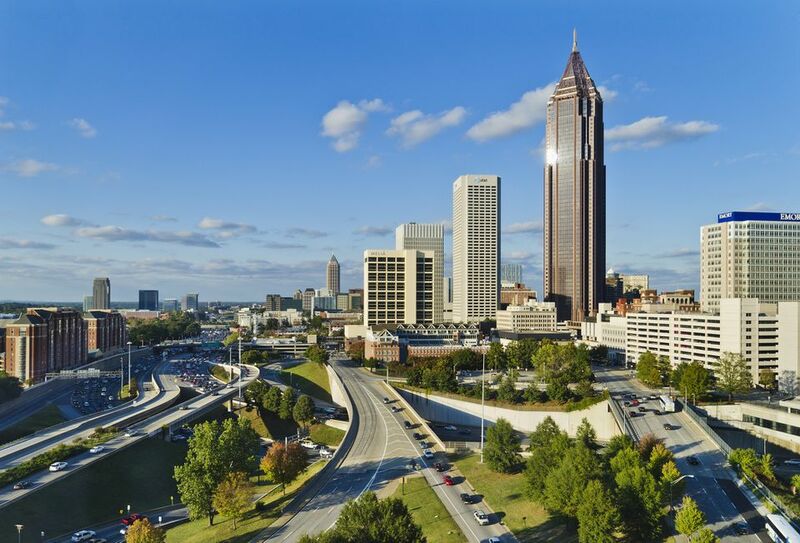 Officially, it's Georgia's capital and home to one of the world's busiest airports. It's also home to a number of worthwhile (and fairly inexpensive) attractions, such as The King Center and the Museum of Contemporary Art. But greater Atlanta also makes a great home base for sampling other treasures: Chattanooga, Tenn. and its famed aquarium are less than two hours away; the nearby North Georgia mountains, home to craft fairs, festivals and great scenic beauty; a huge menu of collegiate and professional sports throughout the year. Flying to Europe from Atlanta can be an inexpensive choice, too. Outstanding camping facilities and a relatively modest entry fee (good for a one-week visit) make Shenandoah National Park and Skyline Drive popular attractions. The Virginia location is an easy day's drive from large population centers such as New York, Philadelphia, Washington and Baltimore. But you'll feel far away from those busy places when you drive the 105 miles of Skyline Drive. There is a scenic overlook, on average, about every two miles. Look around you and consider that a century ago, civilization was threatening to wipe out some of the native species here. But today's views are better than ever and well worth enjoying on a long weekend at modest prices.